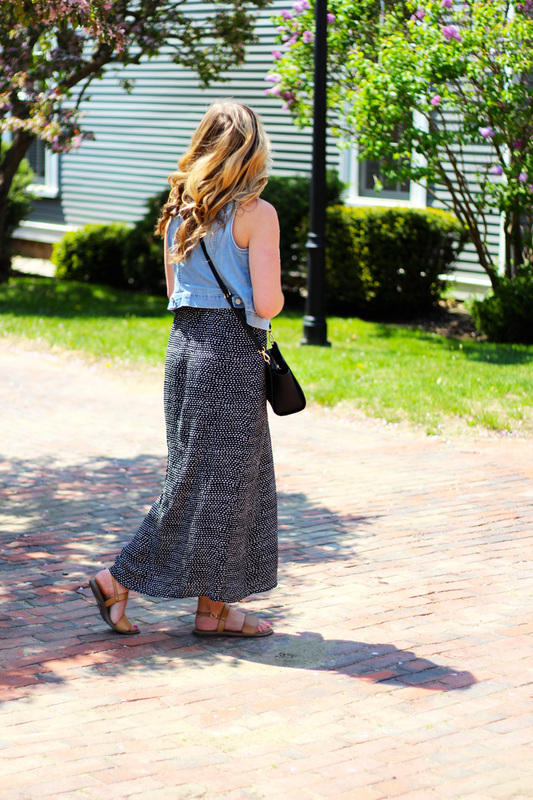 I had been looking for a new casual maxi dress, one that I could wear running errands, to a casual lunch, or hanging out with friends. I was hesitant about this maxi dress since the length was a little shorter than I was used to (I am 5'6" for reference). I wore this walking around downtown one Sunday afternoon and I actually think this it's perfect. I don't ever step on the front or back, I don't need to hold it up when walking up stairs, and I swear it keeps me cooler since my ankles can catch a breeze! Best part is, it's on sale and an additional 40% off! Get it before it's gone!